A lack of clear drivers has kept gold prices between $1,265 and $1,300 an ounce throughout November, its narrowest monthly range in 12 years. Despite the volatility overnight, it was another subdued session across the precious complex in Asia, with gold struggling above $1,285 an ounce consistently. The dollar was firm after Wednesday’s uplift on third-quarter U.S. economic growth revised upwards to 3.3 percent, making dollar-priced gold costlier for non-U.S. investors. Global equities were on course to finish November with a 13th consecutive monthly gain, though a dive in U.S. tech stocks left investors wondering whether the longest global equity bull run in living memory might be starting to splutter. Also denting investor optimism and signalling underlying support for gold going forward, investors were growing wary about the staggered progress of U.S. tax reform legislation. Gold drew a certain degree of support in early Asian-Pacific trading from the most recent North Korean missile test, even though the yellow metal did not charge ahead on the latest geopolitical threat, said MKS (Switzerland) S.A.
North Korea said it now has a missile capable of striking the U.S. Wednesday’s Asian session adhered to the recent range-bound status quo, however, afternoon headlines out of North Korea did give price action a modest boost. The latest advances in missile technology in North Korea should provide an underlying bid tone for bullion, with the threat of a potential strike on the U.S. mainland increasing (albeit largely theoretical). In recent times, such geopolitical tensions have resulted in only short-term price buoyancy and without further headlines to drive interest; participants will turn focus to the upcoming U.S.
Gold prices were down on Wednesday over a statement released by US Federal Reserve chairwomanJanet Yellen that economic growth was broadbased. This seemed to have convinced investors that rates would go higher soon. This sentiment was further backed by a strong US economic data which strengthened the dollar further. In response the dollar pushed to a one week high of 93.44 late on Wednesday which further weakened the demand for the yellow metal. Indeed, spot gold prices fell to $1281.75 per ounce on Wednesday, the lowest since November 23. Howeveramidstgeopolitical tension, gold once again regained its safe have status. Reports that North Korea had fired a missile last week, lent support to gold and it moved slightly up in early trading on Thursday. Gold prices have been up and down due to a battle between the positive outlook on a US interest rate and concerns over North Korea firing a missile again. Gold and U.S. Treasury prices have rallied to their session highs in late-morning action Friday, with T-Bonds and T-Notes futures posting strong gains, on news reports that former Trump Administration national security advisor Michael Flynn is set to cooperate with the special prosecutor overseeing the probe of Russian tampering with the U.S. presidential election. Traders were extrapolating this news to potentially mean that President Trump may be in very serious trouble, if he did indeed collaborate with the Russians on the U.S. election tampering. The U.S. stock market quickly sold off on this news, which also helped to lift safe-haven gold. 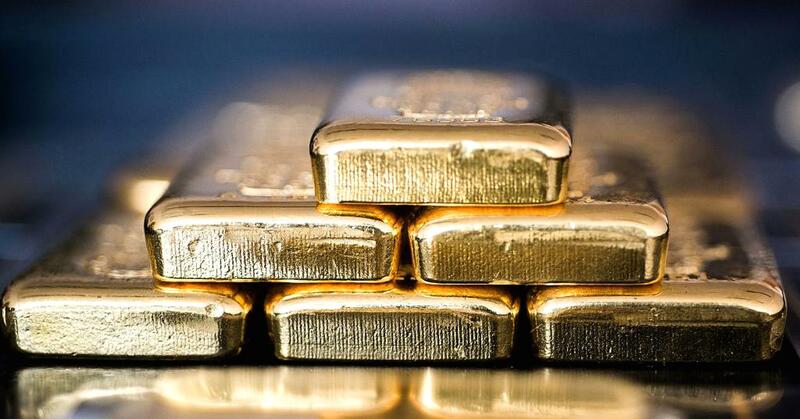 A follow-through USD weakness, coupled with a notable slowdown in China’s manufacturing activity, as reported by a private survey, was seen lending some additional support to the precious metal. 3rd Floor, Units B1 / B2 / B3, Bullion House, 115, Tambakatta Lane, Pydhonie, Mumbai – 400 003, India.